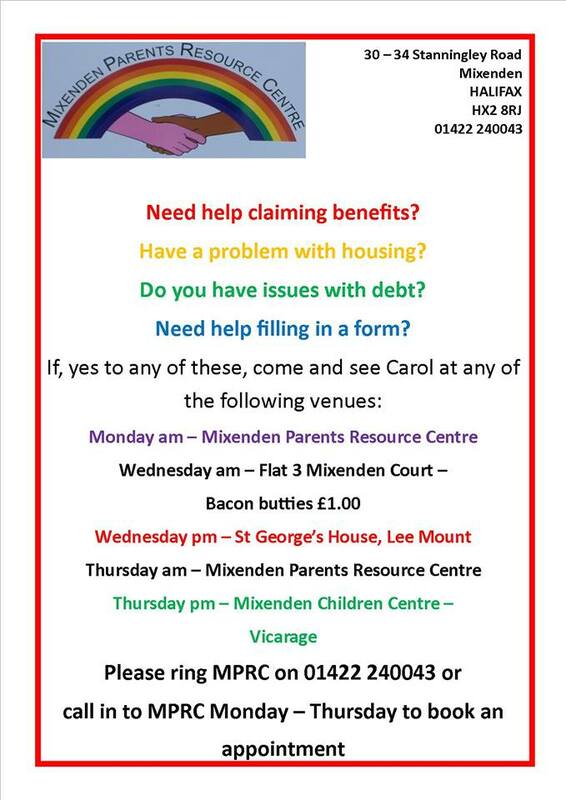 Amongst the many things that are available at Mixenden Parents Resource Centre (MPRC) is the Free Advice & Support that Carol and Yvonne can give you. Don’t despair, help is just a call away. Please ring 01422 240043 Monday to Thursday to book an appointment.